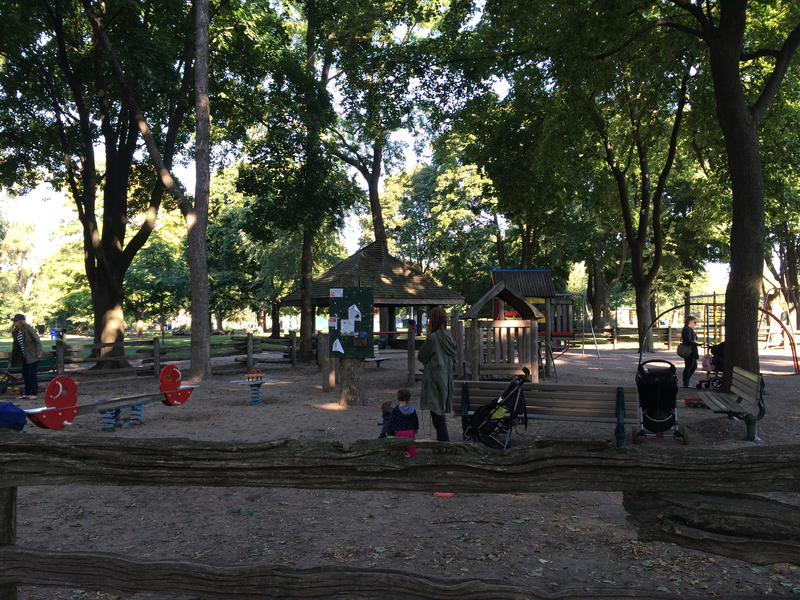 Dufferin Grove Park | Kids in T.O. It’s no secret. Families who frequent Dufferin Grove Park know they have got it made. This 5.3-hectare green space along Dufferin St in between Bloor St. W and College St. in Toronto’s west end offers all your park necessities. And then some. The entire park is super shady (as in tree-shaded,) making it a hot spot when the sun is hottest. The fenced in (but not gated) playground is well-used and well-loved. In the summer months the Cob Courtyard (mosaic-decorated cave-like structure) is a canteen offering up food next to the wading pool. And the sand pit, oh the sand pit! 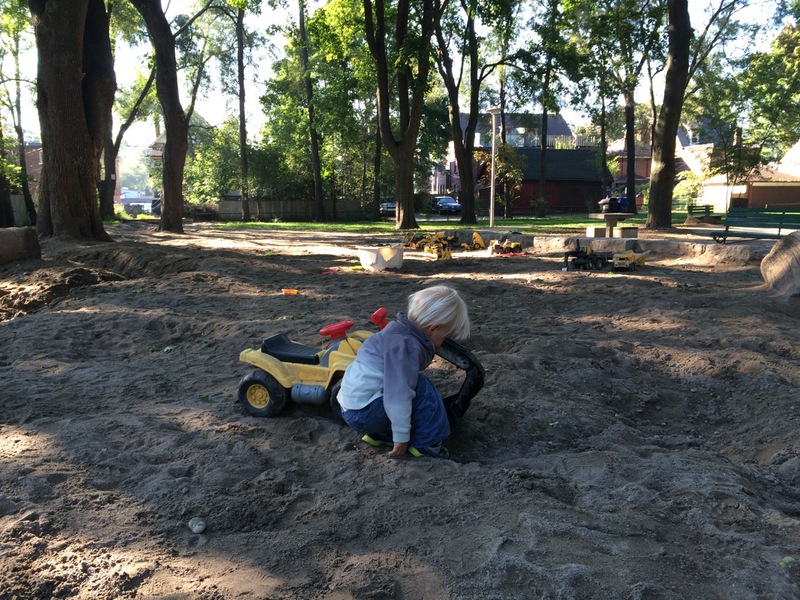 It’s heaven – mounds of dirt, water feature, plenty of toys and big-kid shovels. Then there are all the seasonal add-ons that make Dufferin Grove a must-go-often: Public Pizza on Sundays (12 to 2pm), Farmers’ Market on Thursdays (3 to 7 pm), Friday Night Suppers (6 to 7:30pm) to name a few. Getting there: Driving, there is some free residential parking in the area. On subway, get off at Dufferin Station and walk south (or weave your way southwest.) The 29 Dufferin bus travels along Dufferin St. The playground and sand pit are in the southeast corner. Potty time: Yes, public washrooms on site (north side). Eat: Lots and lots of places to picnic. And these in-park options. In the hood: I have yet to try all of these but they are on my caffeine hit list: The Common and Lit Espresso Bar on College and El Cafecito on Bloor St. W. Need to shop? Dufferin Mall is across the street. The Bloor/Gladstone Public Library is on Bloor St. Locals, please leave a comment with your favourite kid-family places to eat/drink/play in the area.